Yu-Mi has been my go-to for quick, easy and yummy sushi for years. This week for lunch was no different. Located in Promenade Plaza, the restaurant isn’t huge so you’re best going a little off the lunch or dinner rushes. Luckily, we walked in and grabbed a table right away. There is also a sushi bar if you’re dining alone or don’t care to wait. I have ordered the same meal every time I’ve been to Yu-Mi except once when I grabbed the Lunch Special which was simple but a great deal. 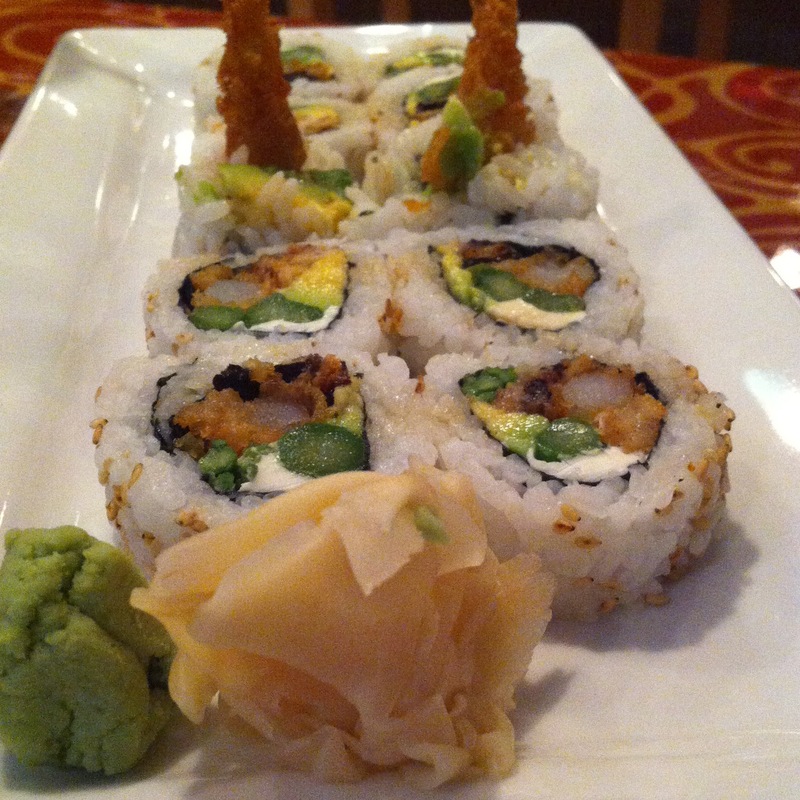 On this occasion I went to my favorite and dependable Birthday Roll with shrimp tempura, eel, asparagus, avocado and cream cheese with eel sauce drizzle (hold the masago). I started it off with a House Salad featuring their Ginger Dressing. The salad is about as simple as you can get but a nice fresh way to start a meal. Lindsay went with the 207 Roll and the Spicy Tuna Roll with tuna and apparently too much spicy sauce. My mom’s favorite and an offering I’ve seen at very few other places is their Dynamite Roll which is a California Roll topped with baked conch with spicy mayo and scallion. They also serve a mean Tempura Ice Cream (fried ice cream) and I love their steamed Edamame starter of warm soybean pods sprinkled with salt. The decor and atmosphere isn’t anything special, but the food is always good and the fact that they are packed lunch and dinner and their diners swear by them says a lot.